In Grade 1 of Living Together: Muslims in a Changing World, children will learn about Islamic symbols and various celebrations that are important in Muslim culture. Since symbols and cultural celebrations (such as Easter) are already an integral part of Grade 1 curriculum, this section provides alternative examples for students to observe and incorporate into their learning. Teachers can use Muslim symbols and traditions as alternative examples when teaching about such topics as the lunar cycle and world maps. Do you have a student, or several students in your classroom who are Muslim? Are you working on building community in your classroom, and/or school? Do you have an ELL student who would benefit from experiencing a connection between his first language and English? 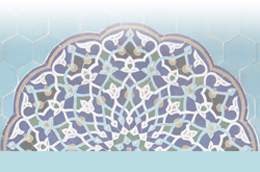 These inquiry activities were created with the intention of developing an understanding of identity and community for both Muslim and non-Muslim students. The following activities support a cross-curricular inquiry based on the current Program of Studies. When the new competency based curriculum rolls out in Alberta, the following inquiry activities will be transferable. With the lean towards multi-aged learning, these inquiry activities have been grouped by age in order to take into consideration the levels of learning and understanding. This allows the teacher to work across the grades, or to create projects specific to an age group. ACTIVITY: Shape & Space - Recreate various flags of several predominantly Muslim nations using 2D shapes. ACTIVITY: Shape & Space - Have students create the shapes using only one shape. Example, they can only use a triangle to recreate the whole flag. What kind of triangles would they need? ACTIVITY: Comic Strip - Illustrate the journey of a young Muslim child between two villages. Why would he/she be making this journey? What would it look like? Feel like? Smell like? And, what would they hear? Remember to think about who, what, where, when, why and how.